VANCOUVER, BC - Almost everyone in Vancouver has seen a car driving in front of them with the message on the back: 'Tuned by SR Auto'. This month, after years of combining unique style with luxury automobiles, SR Auto Group, has begun publishing a new magazine called 'Lifestyle'. 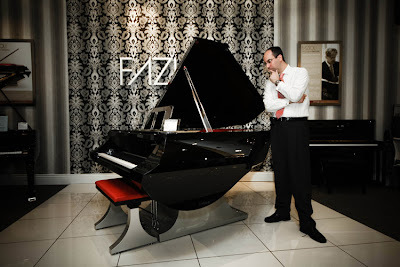 Its very first issue features an article about Showcase Pianos owner Manuel Bernaschek.